Recently, Relevant Magazine posted an excellent article by Sarah Held Evans, entitled, The Church Needs to Stop Pandering to Trends . As usual Sarah brings her gracious and thoughtful perspective, representing many millennials’ views of the church. She points out what I’ve observed for years; “Millennials are not looking for a hipper Christianity. They’re looking for a truer Christianity”. Surely Jesus surrounded Himself with mostly uncool people, in the eyes of the world. They were more like misfits, outcasts, the under-resourced, and the marginalized. God has always chosen people like that. It’s possible for young people in some churches today to believe that being “cool” is a prerequisite to being “Christian”. Jesus taught nothing like this. 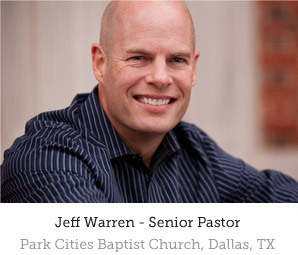 My specific love and concern is for the congregation that I’ve been called and am privileged to shepherd, the Park Cities Baptist Church, Dallas, Texas. I hope my thoughts here will be helpful for other pastors and leaders who are seeking to guide their congregations toward God-honoring worship as well. Many pastors I talk with believe that our attention has turned to non-core issues and way too much time is spent talking about secondary matters. Of course this is nothing new to the church. But a hyper-focused return to the Gospel is our only solution. This is why I constantly seek to keep the attention on what matters most: Christ, the Good News of His rescuing grace, and the attempt to join Him in the renewal of all things. Even still, conversations around forms, styles, music, space and such, though non-core, can be helpful. Please read the above link to Sarah Evan’s post and particularly the Barna Research that prompted her article. I read over this research in November of last year (it was first released 10/2013). It was Luke Sammons, our High School Minister, who pointed me/our team to it. It very much confirmed our direction, and what we knew: Praise God for the amazing worship space that He has given us at PCBC! For those unfamiliar, we worship in our Sanctuary , built about 60 years ago, our gym , constructed about 50 years ago (and remodeled about 4 years ago), and in our Great Hall completed about 10 years ago. Our own local community survey conducted by Auxano confirms the information found in the Barna Research. The survey of our local context also focused on sermon content, driving values, programs and ministry preferences. It also revealed that corporate worship that includes classic/more formal elements, such as a choir, and worship that is led by a band/praise team, are both desired by people in our demographic. Our local survey revealed what the Barna survey shows on a national level: Millennials are drawn to a mix of “casual”, “classic”, “quiet”,”down to earth”, “modern” elements, and participatory/experiential worship. Our study confirms much of what we’re doing at PCBC and also points to what we wrestle with each week: Our Great Hall, though excellent space, is a wonderful speaking room but not the best worship/singing room (it’s challenging acoustically). Our team has been aware of this and is working to improve the congregational singing in the room. As a result, we’re singing better in the Great Hall than we ever have. Our Sanctuary, on the other hand, is an amazing singing room, but I sometimes hear from members who have trouble hearing the spoken word. We are constantly seeking to improve that as well, and progress has been made. Praise God for our wonderful tech team. The trend Sarah Evans is referencing is one of millennials moving toward a more classic (in her case, Episcopalian) liturgy and a desire for a broader, historical connection to the Church. She says,”I think our reasons for leaving church are more complicated, more related to social changes and deep questions of faith than worship style or image.” “We need to creatively re-articulate the significance of the traditional teachings and sacraments of the church in a modern context.” I agree with her. We must continue to be creative with each new generation to re-articulate, to help them re-discover, the ancient and timeless truths of the Gospel through all we do. Sarah left the evangelical church because of a growing need for things, “like space for silence and reflection, a focus on Christ’s presence at the Communion table as the climax and center of every worship service, opportunities for women in leadership and the inclusion of LGBT people.” I love her openness and desire for grace to all people, but I think we would disagree with her on several points. I like to remind millennials and church planters that “we didn’t just show up yesterday”; that we are part of a powerful heritage, and this critical connection helps us know who we really are in Christ and where we fall in His ongoing mission in our world. We see locally what Sarah is referencing (and what the survey points out) in churches like the The Church of the Incarnation near Uptown, in Dallas, reaching lots of millennials through historical liturgy (the Apostles Creed, Common Prayer, weekly communion), and a more open, generous orthodoxy. In terms of style or form, in the end it’s a blend of ancient liturgy, sacred space, modern instrumentation (primarily acoustic), and a more casual dress, perceived as more “authentic”, raw, down-to-earth in its expression. Like us, and other churches reaching across the generations, the Church of the Incarnation offers multiple service options. We’re also seeing churches like Watermark Community Church that are reaching millennials by the thousands through very modern expressions. Not surprisingly, in our own context at PCBC, we see that our more contemporary forms are reaching a younger crowd as well. We also see some younger couples drawn to our traditional forms. Most of our preferences in worship are tied to our past experiences. What we’re seeing in our day is that fewer and fewer worshippers have had an experience in churches like the one I grew up in (with traditional Baptist worship). We’re seeing the results of that as the number of such worshippers is declining annually. The key is authenticity among the leaders and worshippers whose whole lives are focused on Christ alone. People show up where God is active and alive in the hearts of the people. Millennials (indeed, all of us) are seeking real, honest, even raw, broken people, like us all. I also appreciate the desire toward more quiet moments, more “God time” as I call it, space for us to be silent before Him. We’ve been talking a lot about this lately in our worship planning. I love the multiple expressions we have at PCBC – Great Hall, Sanctuary, gym, all reaching different kinds of people. Though these articles are helpful, I always want to move our conversations away from music, buildings, forms, and on to worship. That’s where they need to stay. Deeper thought regarding the essence of worship, the Object and Subject of our worship, acceptable and unacceptable worship, etc. will point us to proper expressions of worship. I will continue to teach and guide us toward these things. Stephen Carrell, Justin Hornsby (Associate Pastors of Worship), and Ronny and Denny Robinson (who lead in our Hispanic service) will do the same. That’s what I LOVE about our church- we have the unique opportunity and resource (praise God) to reach a broader number of people in our ever-growing, and ever-more diverse population. What unites us is not music, but it is the Gospel; Jesus is the One who unites us. I love that we seek to do whatever it takes to reach people for Christ in our context. Every church has its own unique collective potential (the people and resources that God Himself has assembled), in our own unique local context, guided by a specific group of leaders (lay and clergy) whom God has called out to lead. These factors all guide us and inform each church as they worship. Indeed all programs, forms, structures, etc., are informed by His mission for us. His Person and His mission drive everything. Clearly at PCBC, a more traditional/formal expression of worship helps so many people connect with God in corporate worship and a more contemporary form does as well (as does our Hispanic expression). Of course, this creates a real challenge for a pastor/leaders – and the members – as we must all learn to celebrate various forms and rejoice in them as they are pointing so many to Jesus, which is all we want to do. And we must guide our people not to discredit one person’s expression of worship over another that we might prefer. That’s my constant prayer for us in regard to worship – that we honor all types, extending grace and celebrating one another as we celebrate Jesus. Strange as it sounds, you know you’ve shifted to “worship” music and not Jesus when you feel you must fight for your personal preference over others. We’ve lost the focus at that point. We all have preferences – though I’m one of those who loves all kinds of worship forms and styles equally (which I’m sure is one of the many reasons why God brought me to PCBC to be the pastor). I think it’s hard in a church like ours to honor, love and respect one another when we don’t see each other in the other venues. We’ve learned what other churches have seen as well – that some prefer their personal preference of music (be it “traditional” or “contemporary” or something else) over the desire to be together as a church family. I understand that reality in churches which have determined to offer multiple expressions of worship in an effort to reach a diverse cultural setting. It is difficult but a necessary reality that brings about a complex leadership structure. One solution, or help, is to come together periodically and worship Jesus together, blending styles and forms, which many churches do weekly.